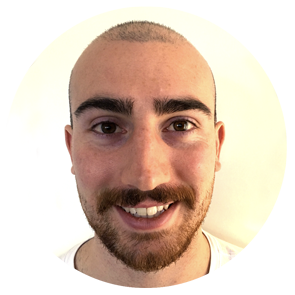 Nick is an Accredited Exercise Physiologist since 2013 where he graduated with a Masters in Clinical Exercise Physiology at Deakin University. Since childhood and through into his studies, Nick has always been a keen sportsman: playing soccer and volleyball for his school and university as well as training in mixed martial arts. During his studies Nick worked as a personal trainer for various corporate groups running boot camp style sessions as well as individualised training at Melbourne Sports Aquatic Centre. Despite having an interest in athletic performance, Nick’s passion lay in injury rehabilitation and management of chronic disease using exercise, hence his desire to become an Exercise Physiologist. Following from this Nick was exposed to clinical pilates to manage his own lower back pain and has not looked back since. He became qualified in teaching dynamic reformer pilates and has been teaching since 2013. In 2015 Nick sought to travel the world and ended up in London, again putting his skills to use to teach dynamic reformer pilates and work as a personal trainer for two years. Since returning in 2017 Nick has worked as a clinical pilates instructor and fitness instructor looking to improve peoples lives through health and fitness. This is an opportunity for us to understand you – your goals, expectation, exercise history, lifestyle, availability, what injuries/limitations you may have and if we are suited to work together. Once all factors have been discussed we are then in a position to develop an individualised tailored program designed to meet your needs and ensure you reach your goals. As a member at Eat Play Thrive you have the added bonus of being able to use the studio facilities outside of class times. This is the perfect opportunity to step up your training and reach your goals in a more time efficient fashion. In order to use the facilities it is a requirement that you come in for an ‘Exercise program development’ session first. This way we can make sure that you are using the equipment both safely and in a way that is going to be most beneficial to you. This is a 45 minute session where Nick will establish your goals and develop a program specifically for you. During the session Nick will go through the exercises with you to ensure you are familiar with the movements and performing them correctly. It is recommended that you review your program every 4-6 weeks with us.